The following is from Murray’s History (Pages 329 – 331). [ Note: The spelling of his name is found as Richard Fitzgibbons in other sources]. FITZ GIBBON, LIEUT. COL. RICHARD, born, Oct. 6, 1836, in Montreal, Can. ; is now a resident of Bridgeport, Ct. His parents were Edmond and Johanna, who, in 1832, emigrated from Ireland to Canada, later removing to Albany, N. Y., New York city and Bridgeport, Ct. Edmond, Lieut. Col. Fitz Gibbon's father, was born in 1810, at Youghal, County Cork, Ireland, where he wedded Johanna Lockhart of the same county. They had six children. The mother died in 1885 and the father in 1893, both at Bridgeport, Ct. Lieut. Col. Fitz Gibbon, the subject of this sketch, was the eldest of the six children. He was apprenticed to the firm of Harral & Calhoun, Bridgeport, to learn the saddler's trade. After serving some time in this business, he abandoned it to fill a position as storekeeper on the North Star and Ariel, of the Vanderbilt line of steamers, plying between New York, and Havre, France, and touching at Southampton, England. He remained with the line nearly three years and crossed the ocean many times. In i860, he accepted a position, as messenger, with the Adams Express Co., his "run" being between Bridgeport, Ct., and Great Bar-rington, Mass. He was thus engaged when the Civil War broke out. He had long been interested in the Connecticut State militia, having served in the same for some years. He had commanded the famous Washington Light Guard, of Bridgeport, and was commissioned Lieutenant Colonel of the Eighth Regiment of militia of the State. When President Lincoln's first call came for volunteers to defend the Union, Col. Fitz Gibbon promptly responded, and recruited Company H for the First Regiment, Connecticut Volunteers. He was commissioned captain of this company April 20, 1861. 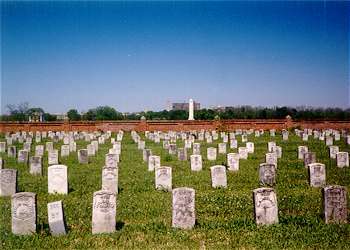 The regiment served in Tyler's department, of Northwestern Virginia, from May, 1861. It participated in the engagement June 17 and at Bull Run, July 21. It was mustered out of service at New Haven, Ct., July 31, 1861. On his return home, Fitz Gibbon assisted in organizing a second company, and was assigned to the Sixth Regiment, Connecticut Volunteers, as a captain. About this time, steps were under way to organize the Ninth, an Irish regiment. Fitz Gibbon decided to join this regiment and was mustered in as lieutenant colonel. He was in command of the Ninth from June 24, 1863, to Oct. 26, 1864, the colonel of the regiment, Thomas W. Cahill, serving on detached duty as commander of the defences of New Orleans and acting brigadier-general. Lieut. Col. Fitz Gibbon was, at one time during the war, honored by an appointment to the staff of Gen. Reynolds. He reported to the latter, but it having been shown to Gen. Reynolds that he could not very well be spared from the Ninth, he was relieved and reported back to the regiment. Lieut. 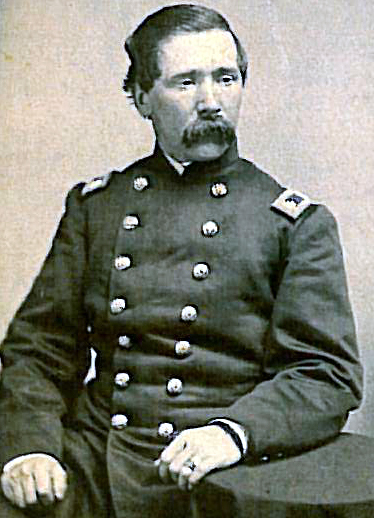 Col. Fitz Gibbon was mustered out in Oct., 1864, his term of service having expired. He immediately took steps to join a corps of veterans, which was being recruited by Gen. Hancock, and sent in his application, but the matter was finally dropped owing to the approaching close of the war. Lieut. Col. Fitz Gibbon married Miss Nellie A. Barnum. She died July 12, 1889. He was an officer of great ability. Possessing excellent judgment and a splendid military training, he was always quick to plan and prompt to act. He was a popular officer, fearless in the face of danger, and a credit to his ancestry, to Connecticut, and to the Union. Two of his brothers, Thomas and John, also served the cause of the Union, in the Ninth Connecticut. The former, LIEUT. THOMAS FITZ GIBBON, also of Bridgeport, Ct., became regimental quartermaster and was an excellent officer. He rendered splendid service, especially in the Shenandoah campaign, in bringing up the stores. Sheridan's army was always on the move and that fact, together with the presence in the region of Mosby's Cavalry and other Confederate forces, made this duty of transporting stores a matter, at times, of great difficulty. But Quartermaster Fitz Gibbon was equal to the task. He was mustered out in 1864. JOHN FITZ GIBBON, another brother, of Lieut. Col Fitz Gibbon, was likewise of Bridgeport, Ct. He served as a private in Company K, of the Ninth, enlisting May 29, 1862. As a result of the Baton Rouge and Vicksburg campaigns, his health suffered and he was sent to St. James Hospital, New Orleans. Lt Col Richard Fitzgibbons died August 22, 1919 and is buried at Mountain Grove Cemetery (Section 10) in Bridgeport, CT.